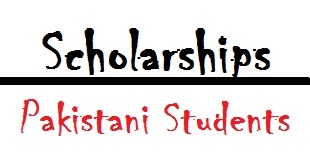 Alfalah scholarship scheme is offering scholarships for local students in Pakistan. About 1200 scholarships are awards to intermediate, DAE, Graduation/Post Graduation and professional Degree students annually. Post-Graduation and Professional courses in any field within Pakistan. Alfalah Scholarship Scheme is offering the funds only deserving and talented students of Intermediate, DAE, Graduation/Post Graduation and professional degree students. It is offering the scholarships for deserving student who want to continue his study in to Intermediate, DAE, Graduation, and Post-Graduation and Professional courses in any field within Pakistan. Selection criteria are based on the academic achievements, family’s income and number of dependents in the family. Print it, get the form attested from the head of your institution and post it to Alfalah Scholarship Scheme Head Office along with the required attachments. If you don’t have facility of printing you can call us at 053-7531630 and ask for Scholarship form. It will be send to you by Post. You can also write a request letter for form but post your letter with your complete postal address and details. From 1st August to 31st October. But Professional students of Medical and Engineering can apply up to 30th November annually. Interesting read! A thesis can be frustrating to write. Check out this link that offers thesis writing services in pakistan and can help write the best thesis for you. It doesn’t have to be a long and stressful process anymore. Hope it helps!